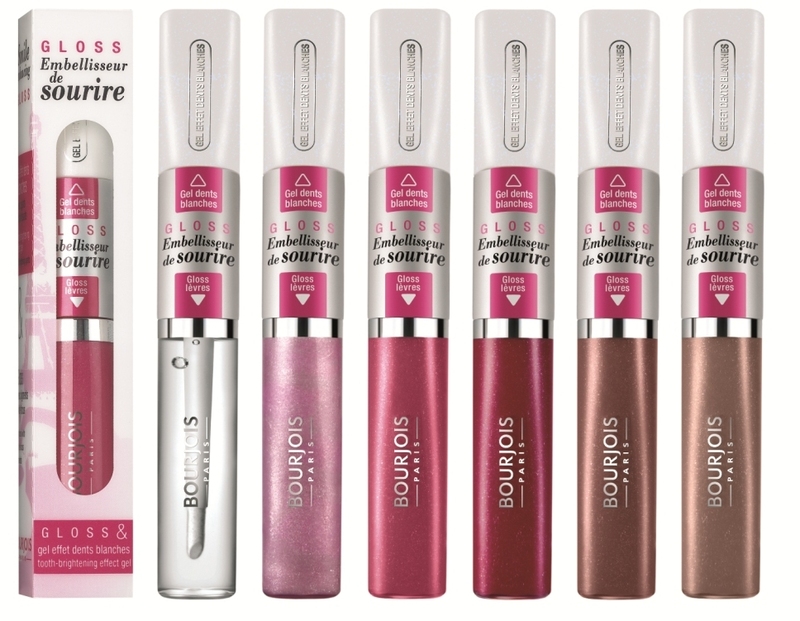 Smile Enhancing Gloss By Bourjois! I was once at the Bourjois stand in ABC Mall and I was checking the lip glosses. I saw a double gloss, I thought it was like the others, colored gloss from one side and transparent from the other. But the sales lady told me that this one is different, it’s a Smile Enhancing Gloss: Gloss and tooth brightening effect gel for a dazzling Hollywood smile! Gentle on tooth enamel, its formula is enriched with blue coloured pearls and brightening agents for an instant result. Designed for daily use and even better, it leaves a fresh breath sensation too! 2. A dazzling lip gloss to apply onto the lips formulated with “White Focus” pigments to enhance tooth brightness instantly. An instant tooth-brightening effect and a dazzling smile! Available in 6 shades, to enhance your smile and make your teeth look even brighter! 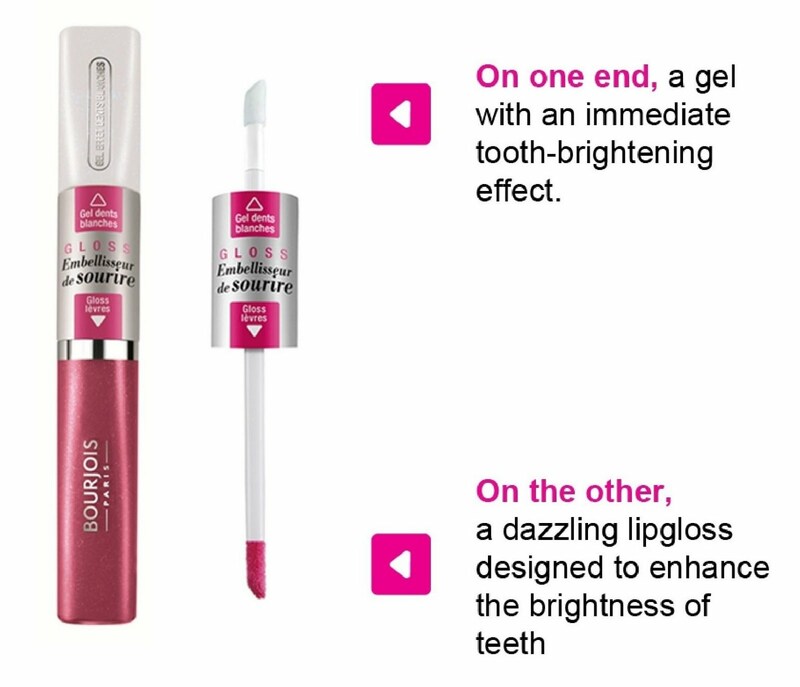 I tried it before getting my braces on, you just have to apply the gel directly on the teeth then you apply the lip gloss. MAISON RANA® is a fashion label that brings femininity, freshness, and style in its lines. Designed to be distinctive, resembling the young daring woman of today, the clothes give the chance for every woman to carry and enjoy masterpieces with her. Every piece from MAISON RANA® has a story. MAISON RANA® is a young label inspired by beautiful things; art, music, architecture, culture, travel, and film… all attracting the designer, Rana Al-Basri Mouawad, and inspiring collections that come to life. Following the success of “The Carnival” S/S12 Collection, MAISON RANA® proudly announces the preview launch of the new A/W12 Collection. Under the name of “OPES”, this new collection is inspired by women, for women… translating the theme into hand-embroidered metal detailing with the MAISON RANA® trademark of minimalistic design. Dubai based designer, Rana Al-Basri Mouawad, feels that this collection caters to the many layers each woman have, be it in style or personality. With the use of silk lace, jersey, cotton and fabrics from Paris, this collection brings a mixture of designs suitable for the typical Middle Eastern pre-fall and fall weather. 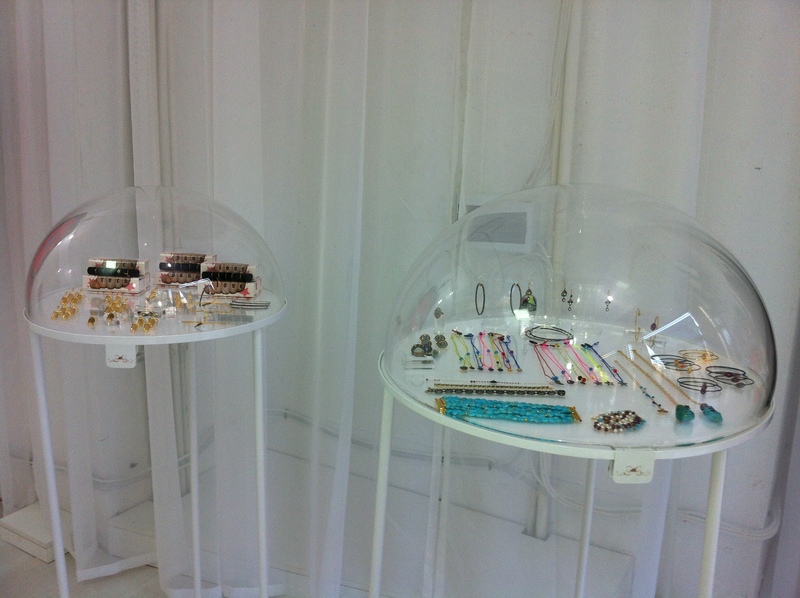 You can also check the website for the latest collections and the Blog ! 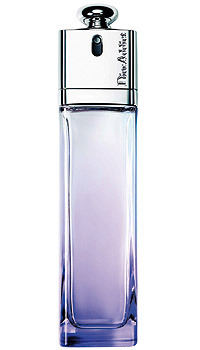 Addict is the new perfume collection by Dior celebrating youth and irreverent joie de vivre. The Dior addict collection is a fragrance wardrobe composed of 3 scents in corresponding colors: bright pink, pale violet and midnight blue. Its signature: Both sparkling and sharp, fresh and woody. Its bouquet: A radiant and subtle Freesia combined with White Lotus Flower encounters explosive, delightful pomegranate. Its colour: the radiance of a bright and sparkling pink. Its style: A dance dress of transparent silk mousseline. Dior Addict to Life unveils a new olfactory explosion of petals with a sillage of energy and elegance. As an 100% addictive elegant floral, it’s a fragrance that unfurls like a bouquet of extremely noble flowers. The striking encounter between a sparkling rose, a vibrant jasmine and white musk, the ultimate and exclusive signature of the infinite know-how of François Demachy, Perfumer-Creator of the House of Dior. 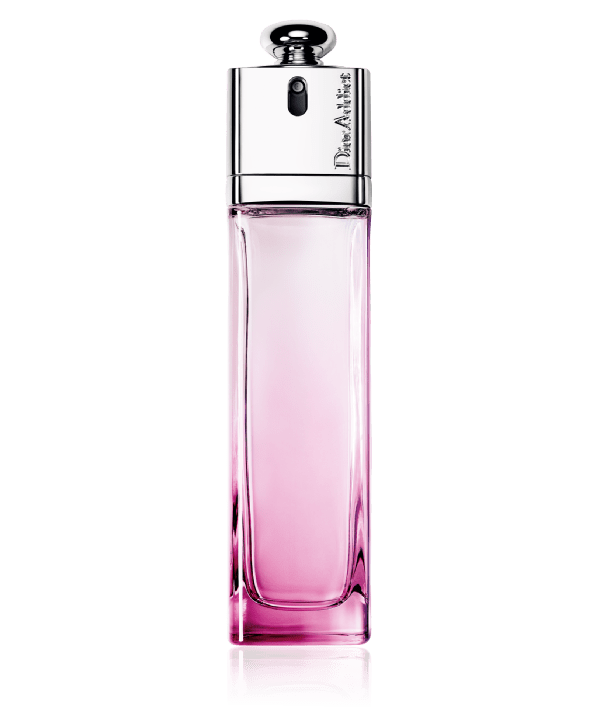 This new fragrance from Dior offers the Dior Addict woman astonishing energy: a youthful femininity that blossoms in a life of boldness and creativity. Its signature: Oriental and modern, smooth and vibrant. Its bouquet: Intense and vibrant, it reveals a rare treasure. The opulent Queen of the Night is an immense tropical flower that grows in Jamaica and blossoms only once a year, liberating its powerful vanilla scent in a single night. Its style: A low-cut black sheath dress in the most beautiful organza. Are you a Dior fan? Which shade do like most? 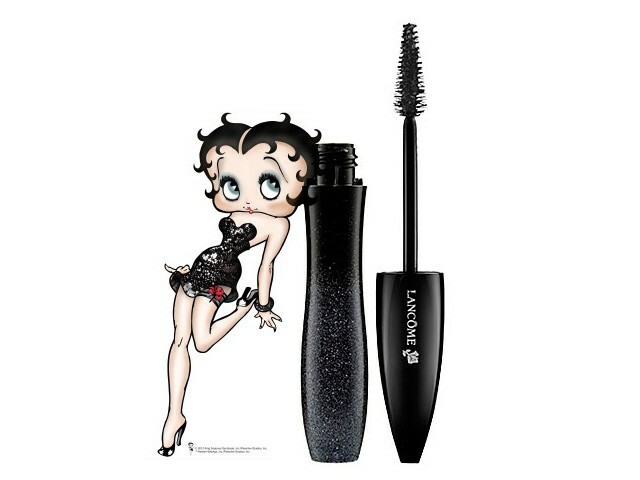 Betty Boop the new Lancome Star! 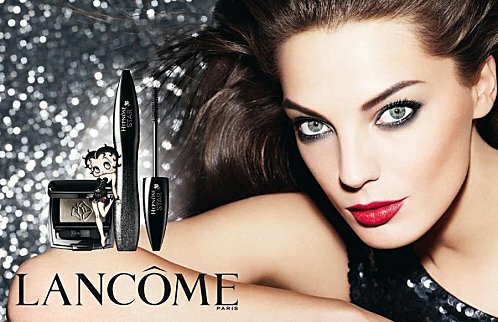 A new Star among Lancome is born, Hypnose STAR, with two icons Betty Boop and international supermodel Daria Werbowy . Betty’s luminescent eyes and famous lashes are the perfect canvas to demonstrate the “Star” look of lush lashes and deep, intense shadows. Lancôme creates a red carpet look for our star, with the versatile triangular shape of the brush that applies just the right dose of texture while simultaneously lengthening and separating lashes. It has the spot light effect, a shade to dress eyes with a seductive shine, Noir midnight drapes lashes with intense colour like a luxurious evening gown. Do you like Betty Boop? Have you ever tried any of Lancome mascaras? 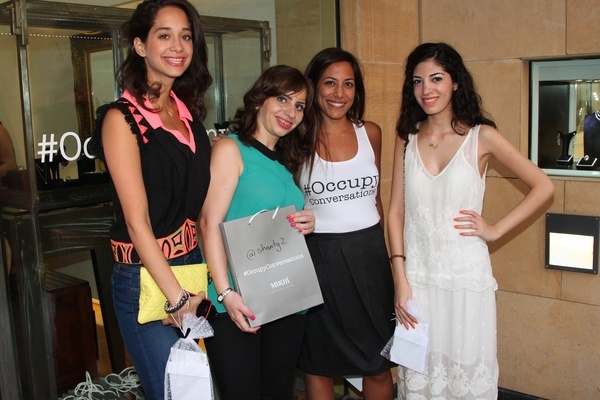 During the Beirut Design week, which is dedicated to every Lebanese designer and Architect who wants to contribute in developping the design community in Beirut, I was invited to an event by the Mukhi sisters and also had the chance to attend the launch of the Zayan pop up store. I checked-in at Mukhi Sisters on Foursquare and the lovely Maya found me and showed me their lovely shop and their lovely designs. Mukhi Sisters — the trio of sisters ( Maya, Meena and Zeenat Mukhi ) is making a splash with their witty, playful, eye-catching, elegant and contemporary designs.Their jewelry pieces are officially hot items, and they’re being snatched up by the young and old, the jetsetters and the royalty. 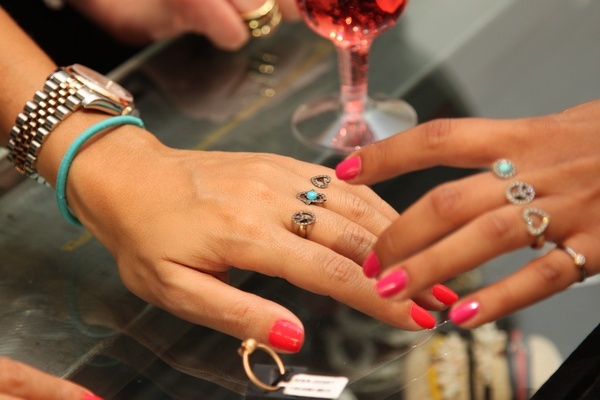 A combination of creative spark and explosive originality defines the Mukhi Sisters aesthetic. 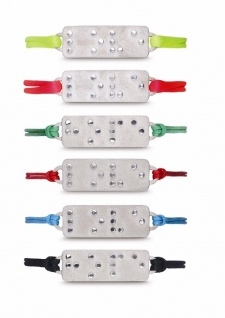 Bold yet casual, elegant yet also capable of being irreverent, their pieces, such as the famous Braille bracelets for charity, make a statement everywhere they go. 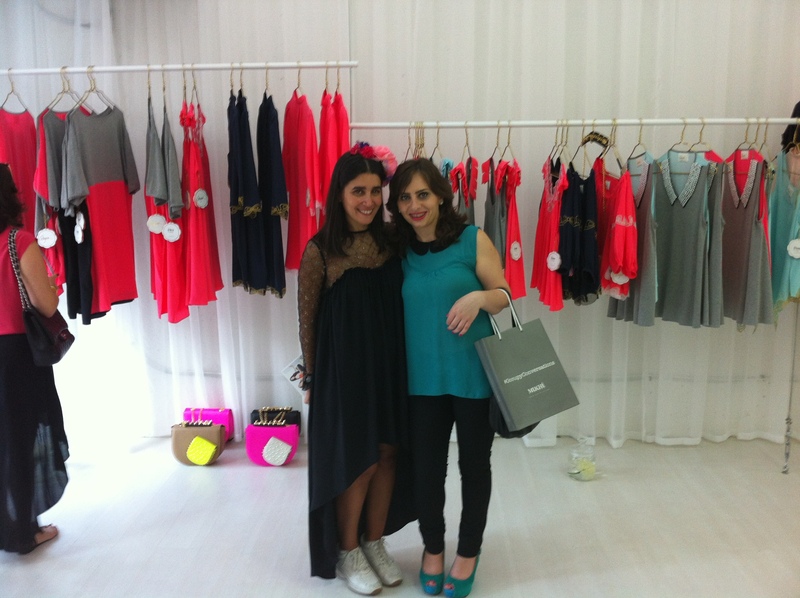 Then I was introduced to Zayan Ghandour owner of the Zayan pop up store. Zayan began designing limited edition one-off T-shirts while writing for the Daily Star newspaper before moving to Dubai in 2000 and retailing at one of the prominent multibrand boutiques. In 2004 she co-founded s*uce, an award winning fashion and lifestyle concept and soon assumed the role of head buyer and creative director. In 2011, Zayan returned to her true passion: fashion design, launching her eponymous label Zayan during Paris Fashion Week to great reviews. 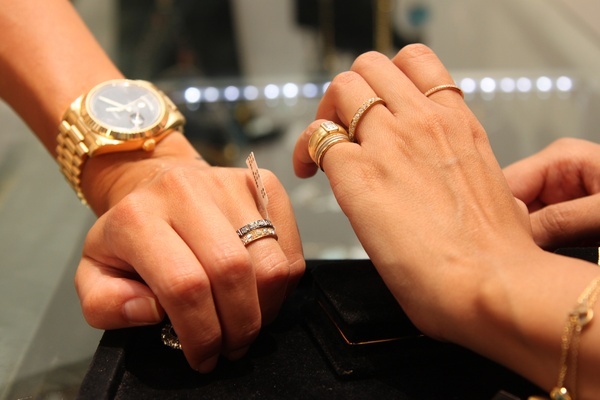 By the second season Zayan was stocked in 14 locations worldwide. An established regional mentor for young talent, Zayan speaks regularly at luxury, fashion and design forums and has co-founded the fashion distribution agency, Two Scoops. 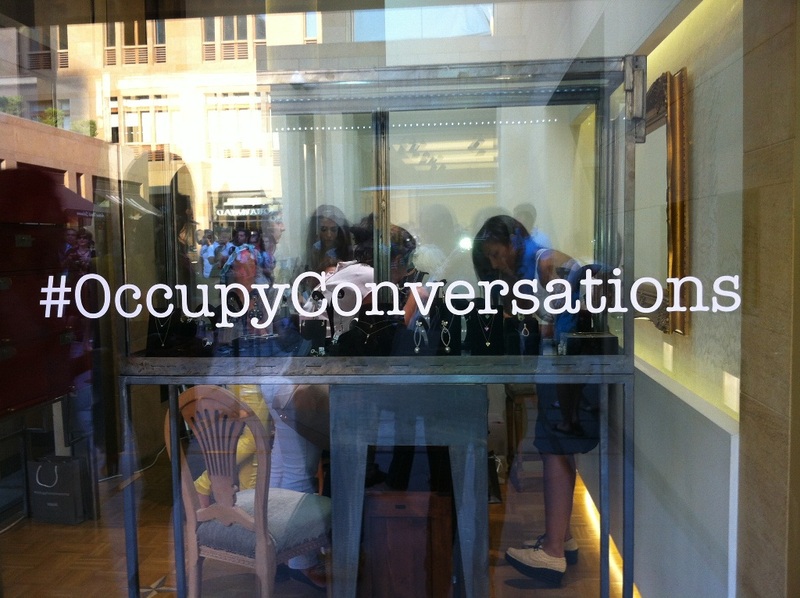 So if you’re in Beirut Souks, don’t hesitate to pass by these two shops and check their lovely collections! Instant Smooth Crystal Lip Balm by Clarins! I was checking Clarins Middle East Facebook Page last week and I saw these new Crystal Lip Balm. 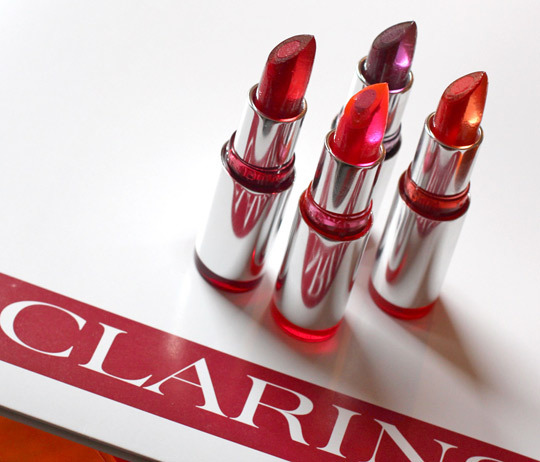 So I went to ABC Achrafieh during the week-end and passed by the Clarins stand and there they were…shining in front of me! I tried the Crystal Coral shade, I though that it would be transparent with a bit a glitter, but it turned out to be as bright as a lipstick! Gelled oils : for transparency, glide and comfort. It Helps prevent lip from becoming dehydrated. And a “high tech” polymer : combines with gelled oils to ensure the consistency and transparency of the stick. I found it really original as a concept, combining lipstick and gloss at the same time! What do you think? Have you ever heard about or tried a Dry Cut?! I never knew that it existed before getting the opportunity to try “The Charles Maksou” Dry Cut. Charles Maksou is considered to be one of New York and Boston’s top hair stylist. But after 20 years in the USCharles had a desire to return to his home country Lebanon, so he came to Kaslik and had his latest creation“Maksou”. With the dry-cut technique, Charles Maksou is able to carve out shapes that are impossible with wet hair. He creates a natural shape according to the way your hair grows. I had the chance to try his dry-cut, his touch is really light, you don’t feel that you’re loosing any of your hair but at the same time, it’s getting better shaped and homogenous. As I also got the chance to have a little bit of highlights, his coworkers Chady Assaker and Jolice Haddad took good care of my hair, since I’m not a big fan of colouring and highlighting. 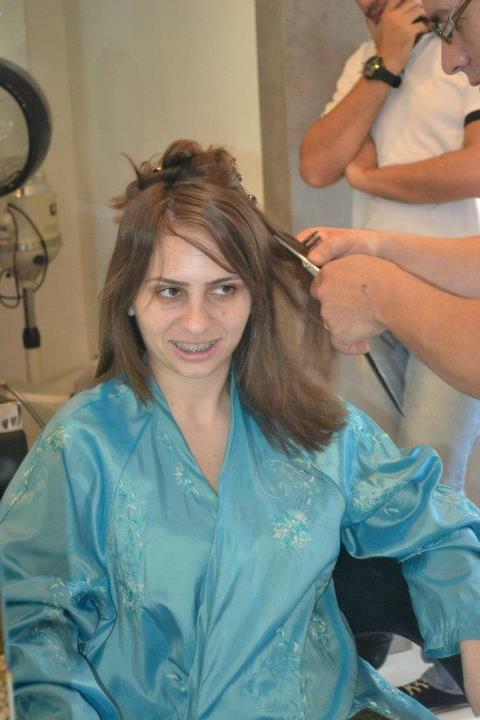 And I also got the chance to meet Rodolph Salem, the Make-up artist and showed me his way of work. You can LIKE Maksou Facebook page to stay updated on all his latest news and trend. 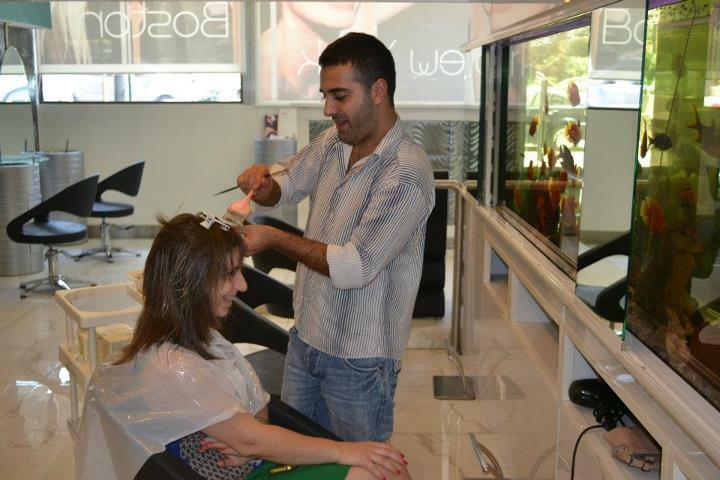 Maksou is located on Kaslik highway, Espace 2000 Street, Rahban Building, next to Pharmacie 2000. “Eat Out For Life”, a special and unique program done by “The Children’s Cancer Center of Lebanon (CCCL)with the collaboration of “Beirut Restaurants”. From July first to July seventh-2012, “Eat Out For Life” will launch in the trendiest and most loved restaurants in Lebanon: just by visiting our participating restaurants, you would be contributing to the treatment of a sick child at The Children’s Cancer Center of Lebanon (CCCL). 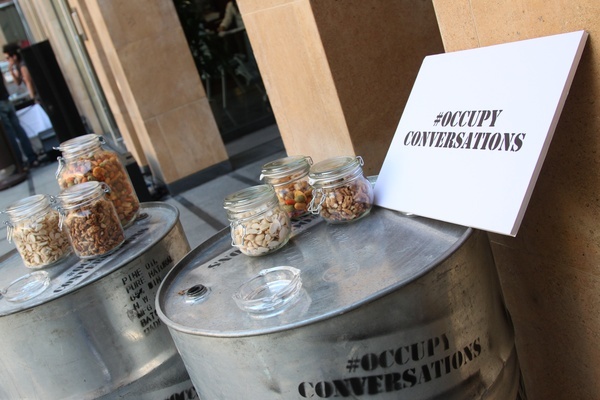 This program is aimed to create social responsibility within the Lebanese community through a unique social dining experience. Book your tables now and make a difference in child’s life! 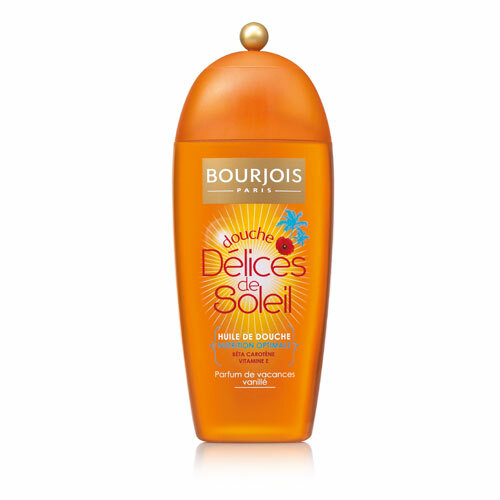 Delices de Soleil is a special Summer Shower Oil by Bourjois! All the benefits of the sun in a shower gel! Enriched with Vitamin E and beta-carotene, renowned for its tan-boosting properties, Delices de Soleil Shower Oil nourishes the skin. Its fragrance featuring tropical vanilla accords and mango transforms your shower into a moment of pure summer bliss! Have you ever tried Bourjois shower gels? Which is your favorite?